With recent figures stating that Londoners are increasingly choosing to leave the Capital, getting the right commuter spot has never been so important. This is after The Telegraph announced that 74,000 homes were bought by Londoners outside of The Big Smoke in 2016, an increase of 11,000 from 2015. With the affordability of London property becoming an ever growing issue, most Londoners are now preferring to buy homes in southern England instead, fuelling the ever growing commuter culture. As a result, in the latest of our London Commuter Towns series, we take a look at the southern county of East Sussex. Similar to its neighbouring Kent, this county is blessed with coastal retreats and vast areas of green space and natural beauty. Furthermore, property in East Sussex tends to be more affordable than its West Sussex counterpart, and as a result, it makes it an attractive location to buy a house within a commutable distance to London. 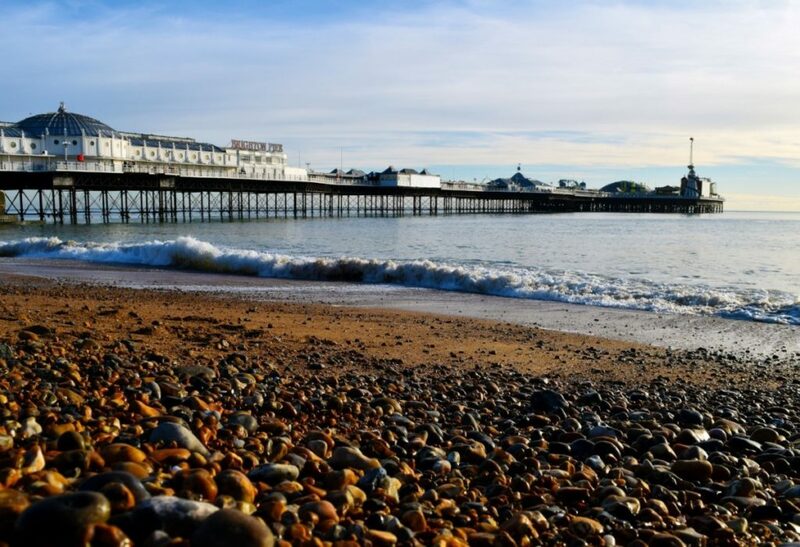 While the railway services may not be as efficient as other commuter counties, some of these beautiful towns make the journey completely worth it, starting with Brighton. Interesting Fact: Brighton is home to Britain’s oldest cinema – Duke of York’s Picture House. As one of East Sussex’s most popular destinations, we have already written about how much we love Brighton with our top 7 seaside destinations guide. Brighton seems to have escaped the decline of many British seaside destinations and is a trendy, lively and cosmopolitan city. This has definitely been helped by the fact that you can reach central London by train in just over one hour, which has enticed many people to commute from this area. Brighton is a fantastic location if you are looking to leave the expensive side of London behind but do not necessarily want to live in a quiet town or village. It has plenty of cultural activities, including the famous Brighton Festival. In addition, there are plenty of interesting restaurants and sociable pubs and bars to keep you entertained. Brightonians seem to love their city, and its strong community feel is helped in part by its famous independent shopping area called The Lanes. In spite of the array of amenities at hand, housing is still very affordable at the popularly dubbed ‘London-on-Sea’, with the average house price at £369,480. Furthermore, Brighton is a very environmentally conscious place with plenty of eco-homes if that is an important house purchasing factor for you. In terms of raising a family in Brighton, children would enjoy a far more outdoor lifestyle living by the sea and away from the pollution that London naturally lends itself to. In terms of education, Brighton has three highly acclaimed independent schools – Brighton College, the Rodean School and Bellersby College. Interesting Fact: Wealdan Hall House in Lewes was given to Anne of Cleves by Henry VIII as part of her divorce settlement from the reigning monarch. 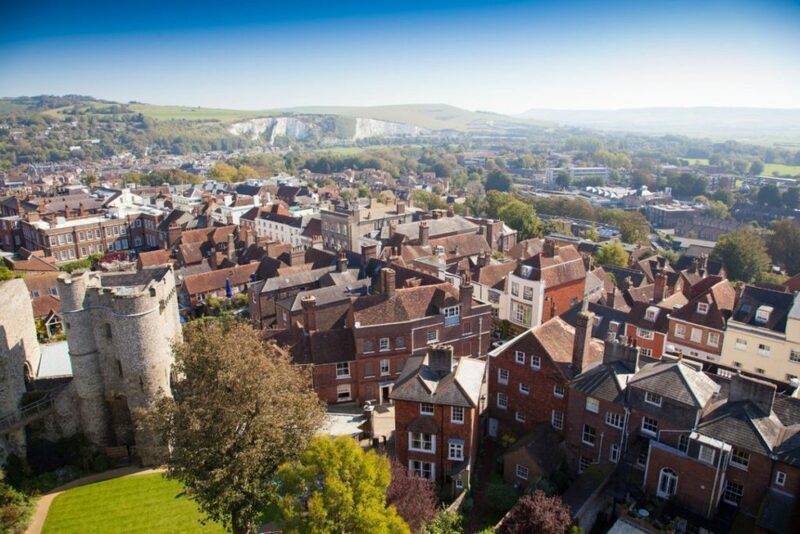 Lewes is a fabulous town that is growing in popularity with commuters from London. The town itself is charming and medieval in design, fronted by its Norman castle, and the town is blessed with an abundance of historical architecture and quirky winding streets, full of independent shops. Furthermore, what further adds to the appeal of Lewes is that it is encased in beautiful countryside, being so close to the chalk hills of the South Downs and with the River Ouse close by. Overall, Lewes is a picturesque town that is quintessentially English and provides commuting residents with a dramatic escape from the hustle and bustle of London. However, this serenity does come at a price, with the average house costing around £452,572, making it one of the most expensive areas to live in East Sussex. Nevertheless, if this is within your budget, it would be a lovely place to raise a family, with the Lewes Old Grammar School having a fantastic reputation too. In addition, if a child (or anyone) wishes to extend their knowledge, Lewes is home to a 15th century bookshop which we’re sure would be of use! In summary, Lewes provides its residents with a completely unique environment and a complete detachment from the travails of London. Interesting Fact: As a popular stopping point for pilgrims, Uckfield is home to ‘Pudding Cake Lane’ which featured a public house that travellers would frequent for a rest and slice of pudding cake. If you’re fed up with the ever rising costs of living in London, Uckfield may be a good choice to relocate to in Easy Sussex. The town grew to prominence as a resting point for pilgrims going to Canterbury, so it naturally lends itself well to being a commuter town! Another motivating factor to reside here would be its affordable house prices. In 2015, the average house price was around £379,109, far cheaper than London and the more expensive areas of East Sussex such as Lewes. Annual train ticket fares are also not as expensive as others in this county, priced at £3,844. However, commute times are around 90 minutes each way but residents can opt instead to do a short drive to Haywards Heath train station where trains take under an hour. 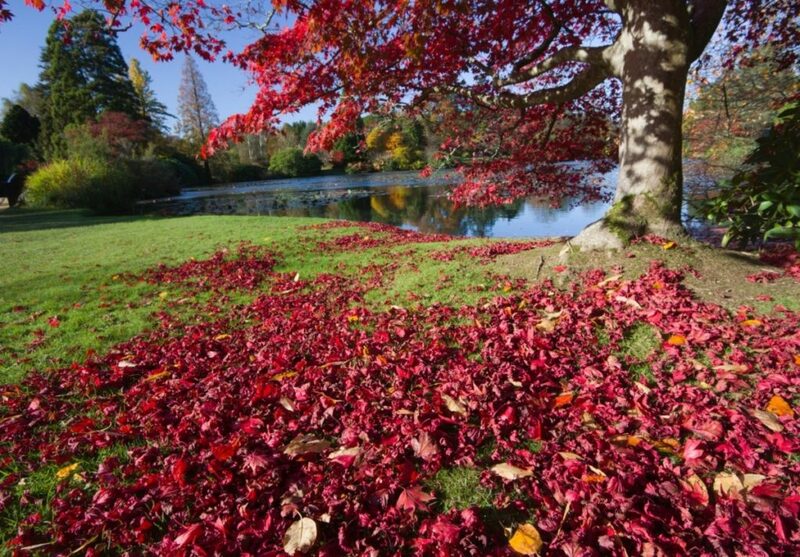 One of the many benefits of living here is that Uckfield is very close to many nature reserves and green spaces, particularly the lovely Sheffield Park and Garden (pictured above) which is part of the National Trust and has over 250 acres of woodland space. This place is great for families, and If you are considering raising a family here Uckfield Community Technical College is rated as the best in town. Interesting Fact: Ovenden’s Mill (pictured below) was built in 1817 and is now a working museum. Close to Eastbourne, Polegate is a small town that is perfectly situated on the cusp of the South Downs National Park. It would be a fantastic place to live if you are looking to leave London for quieter climes and raise a young family in peace. Furthermore, with the average house price coming in at 285,738, you could get a serious bargain if you decide to commute to work from now on. 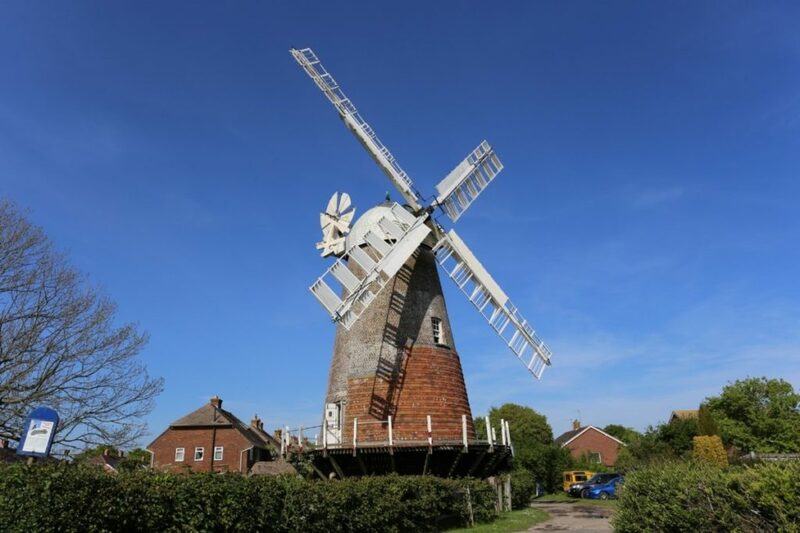 While Polegate certainly is one of the more affordable places to live in East Sussex, its transport links are slightly lengthy with a journey to London Victoria taking just under 90 minutes and annual train tickets costing £4,588. However, with the savings you would be making on a house purchase you would still be getting great value for your money. Perhaps the biggest attraction to relocating to Polegate would be the rural lifestyle you would be able to lead. Being so close to the South Downs would massively increase your quality of life and provides so many safe, outdoor activities for you and your family. On a quirkier note, the ‘Cuckoo Trail’ passes through the town which is a fourteen-mile public footpath along picturesque countryside! Interesting Fact: As a medieval port town, Rye was infamous for smugglers, especially in the 18th century when the Hawkhurst Gang who would meet up in The Mermaid Inn. Situated two miles from the sea and close to three rivers, Rye is a quaint harbour town full of old England charm. With Victorian and Georgian buildings lining the cobbled streets, it’s difficult not to fall in love with this attractive town. House prices are very reasonable here too, with the average property selling for £319,257. 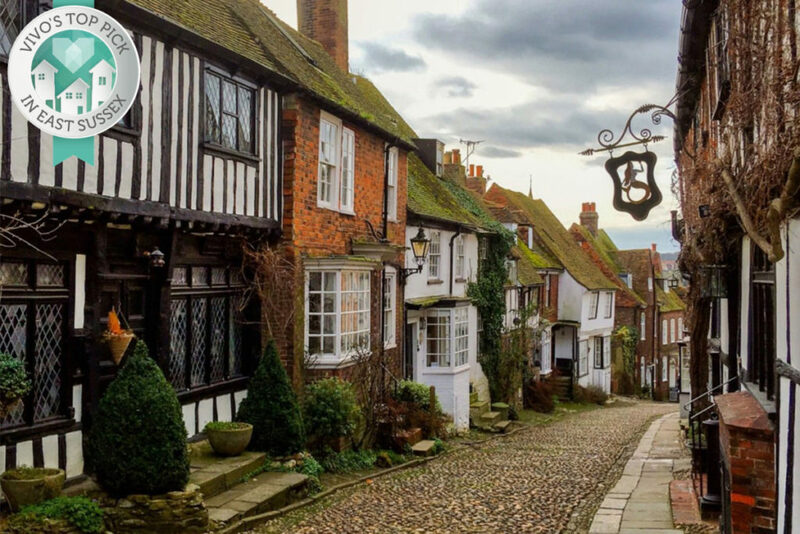 A big attraction to Rye is its abundance of independent shops coupled with a weekly farmer’s market, if you are after a major supermarket you will have to drive to nearby Eastbourne instead. Therefore, Rye is a perfect escape from the heavily commercialised Capital with its traditional, seaside feel. The place is not completely sleepy however, it was once famous for smugglers in the 18th century particularly in the art of ‘owling’ which is the smuggling of wool. This town has its own castle museum too and is also well documented in literature from the likes of Sir Robert Naunton and Daniel Defoe. Moreover, American novelist Conrad Aitken formerly lived in Rye as did Sir Paul McCartney – who sent his children to the local schools. On the topic of education, there are some well-esteemed schools just outside Rye such as Benenden School in Cranbrook and Battle Abbey School. In terms of commuting from London, you can catch the high-speed train network and get to St Pancras in just over an hour which is mighty impressive considering Rye’s coastal location. Overall, East Sussex has several different options if you’re interested in a commuter lifestyle changes. As part of the Home Counties, East Sussex has a quaint, rustic feel at an affordable price range that people who live in London just love. Looking at all the combinatory factors, we have awarded Rye as our number one commuter town from East Sussex! 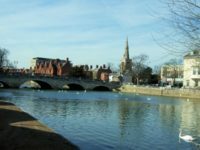 The town encapsulates all the best features of the counties’ many commuter towns, such as picturesque views coupled with small, cute and historical town centres. In addition, it has plenty of affordable housing but living here does not make you feel disconnected to the Capital with the high-speed train network. Brighton was a close second, but it has already established itself a popular commuter town, we feel that it’s time for Rye to shine! If you would like to read more of our commuter town guide, here is our takes on the wonderful Home Counties of Surrey and Kent!